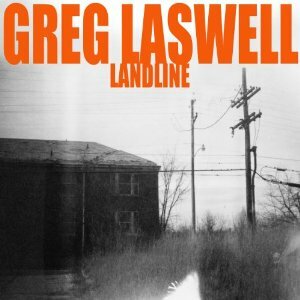 At long last Greg Laswell’s fifth full length album, Landline, is here. Self-produced and recorded in a church-turned-house in Maine, the 11 track collection is replete with all of the things that we love about Laswell. Filled with moving melodies and rich soothing vocals the record also features collaborations with Ingrid Michaelson, Sia, Elizabeth Ziman, and Sara Bareilles. The result is so magical we can barely contain ourselves. Since February, fans have been salivating over the lead single “Come Back Down” starring Bareilles, who Laswell toured with in 2010. Kicking things off with a burst of energy, the upbeat tempo nicely contrasts the melancholy nature of the song. A similar variance occurs in “Dragging You Around” as Sia’s hauntingly angelic vocals bring enchantment to otherwise tumultuous sentiments. On the flipside, the doleful “Back To You” featuring Ziman is delicately understated; as is the title track. “Landline,” sung by and co-written with wife, Michaelson, while the power was out, ends the album on a lovely note. While the collaborations are spellbinding, Laswell continues to be melt-worthy on his own, mesmerizing the senses with tracks like “Late Arriving” and “Nicely Played.” Fans will get a chance to experience this in person when he takes to the road in May.